Jio is going to launch its World's Cheapest 4G features Phone - Jio 500 Rs Phone. This is again good news for Reliance Jio Users. We are very exited to see the first cheapest smartphone which is going to launch on this Month(July). We already know that how jio broke up all the records by giving Free Internet, SMS and Calls. In this world, Reliance Jio is the first telecom company, who gave us this free services in India. So, Here are some news that I've got from the Internet Resources, and the team of some Expert Tech Bloggers. Here is the expected image of that phone. As they said, This smartphone is VoLTE(Voice over LTE) based phone. The price should be expected from Rs.1000 to Rs.1500. We do not know more about that, is that smartphone or Featured phone. Thus, we think it should be an featured phone. in which, we can do some calls and SMSs at the same time. 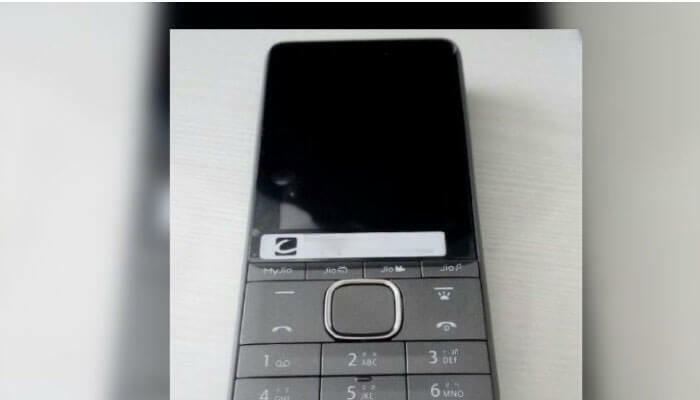 But of course, It is Dual SIM phone, Supports Micro-SD card(extend upto 32 gb), camera may be VGA or 3-5 MP camera, Bluetooth, Supports Micro Sim, VoLTE phone, Internet Connectivity, GSM Phone and they can give free internet, calls and SMS for 3 Months to 6 Months. This is the Information which we've got from our experts. In some blogs, they said, it's smartphone and displayed up some specification which the company cannot be affordable at this price. But, its jio so, we cannot guaranteed you that the phone is smartphone or featured phone. Yes, here's a good news for the Jio Users, Jio is discussing about to extend the validity of Jio Summer Surprise Offer or Jio De Dana Dhan Offer. So, the validity will be end on Oct-Nov 2017. Yeah, we heard that You've got to pay some charge about 300-400 Rupees to continue this offer. For the Latest Updates please visit our blog daily. Thanks for reading this article. We hope you liked it.